Please Can anyone help about to lay solid oak planking T & G type what is the best way to fix, have of heard floating, nail only or glue direct to floor and nail If glue is needed what is the best type?? Whilst many suppliers of solid wood flooring encourage the floating of solid floors you should never do it. This is an installation method for laminate and engineered flooring where the joints are tight and designed for this type of fitting. If you are going to glue the floor down then the best method is to fully bond it to the sub floor. The glue I would recommend is Rewmar MS Polymer. It is easy to use, easy to clean up and it is hazard free. Link deleted, no external links allowed unless you have permission to advertise. Thanks for that andy,not quite ready to lay yet but will try and source local stockest of that brand of glue. 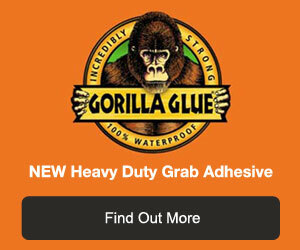 Be careful though as most glues should not be used beyond a 6:1 ratio thickness to width. Beyond that and you should mechanicaly fix.